6 New-to-You MilitaryByOwner Site Features! MilitaryByOwner is well known and loved by its customers for its vast selection of homes available for sale or rent. Whether through the MilitaryByOwner mobile app or on their computers, users enjoy scrolling with ease through the multitude of properties with detailed pictures available for an upcoming PCS or post military service life ahead. 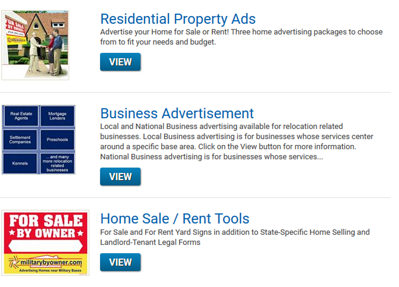 Because MilitaryByOwner is such a thorough tool for advertising your property, and the process is simple, there might be some bonus features that you haven’t taken advantage of beyond buying and selling homes! 1) Did you know there was more than one way to advertise? Homeowners, property managers, and business all have support options to make the deal go through easily and quickly. 2) Do you have high quality pictures to show off your property? 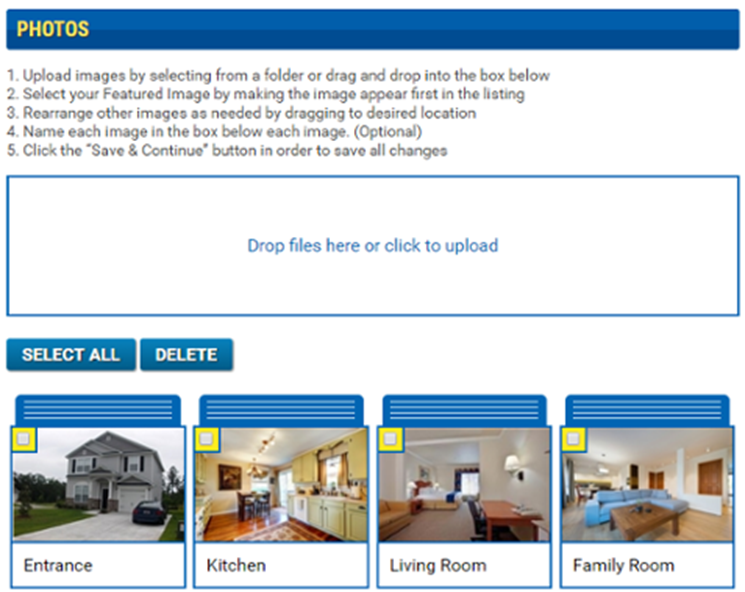 For customers advertising their home, check out these tips for loading and labeling pictures. Remember, pictures taken with the landscape orientation work best, like those in the example below. 3) Zip codes are so important during a property search. They are used to find specific school districts, calculate commute times, and even help determine if your BAH will help afford the property you’re considering. 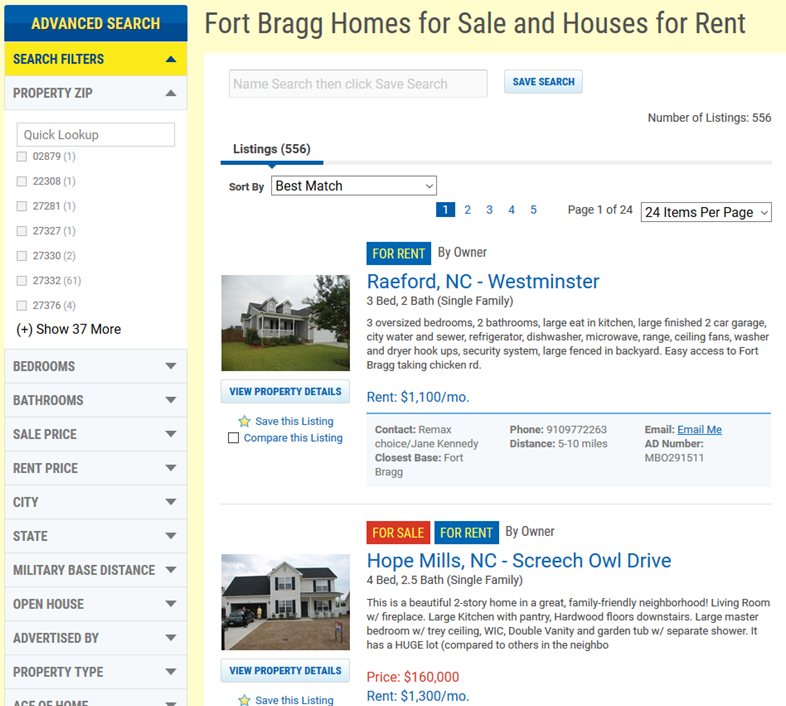 Under an Advanced Search, zip codes can be selected as a Search Filter. 4) Even if you’re a pro at all things real estate, there’s always room to learn more! 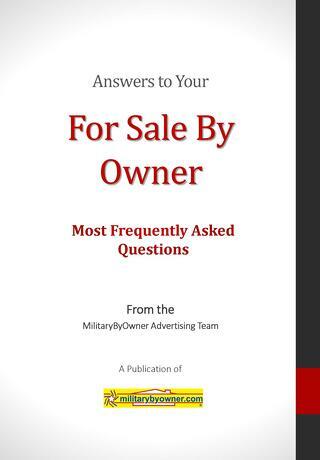 MilitaryByOwner has assembled five Home Ownership ebooks to answer questions that come up during the process. If buying a home isn’t right for you now, don’t feel left out! We have two more sets of ebooks that will definitely cover aspects we all encounter as military families: Military Life and PCS. 5) For peace of mind and security, MilitaryByOwner offers access to contracts and documents provided by US Legal Forms. 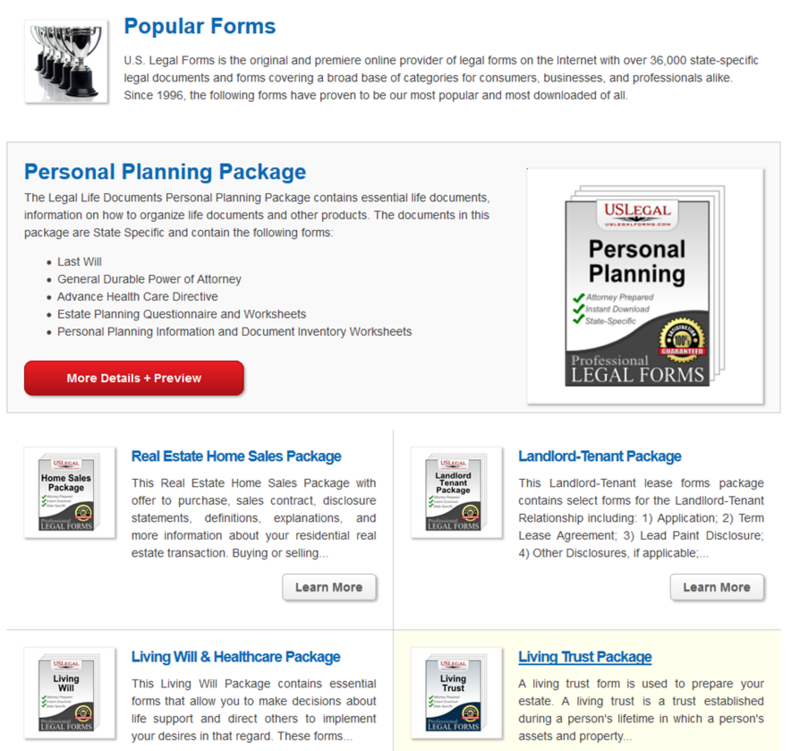 Real estate and estate planning are just two of the dozens of topics covered. 6) Last, but certainly not least, is access to unrivaled customer service. Representatives are knowledgeable, courteous, and just plain fun to chat with! They’re available to help with any question you might have about MilitaryByOwner services and online features. But, if you are a DIY kind of person, check out the video help you can find online. 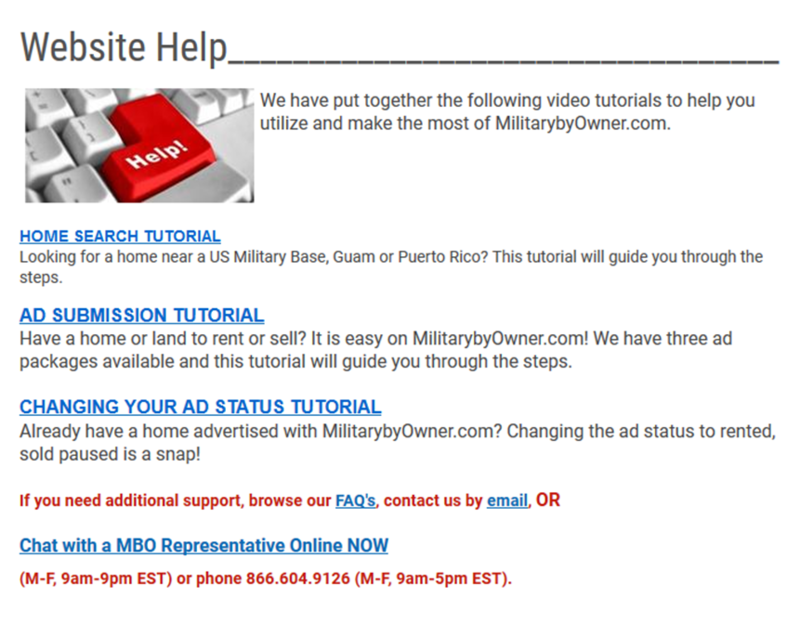 Hopefully, you’ve picked a few new ideas for using MilitaryByOwner's site in a new way. We are always brainstorming innovative ways to provide the best customer experience. And be sure to download our free app!